Following the capture of Solomon Lane (Sean Harris), the leader of a terrorist organisation called ‘The Syndicate’, two years ago in Mission: Impossible – Rogue Nation, an extremist branch of the remaining Syndicate members have renamed themselves ‘The Apostles’. In this instalment, Ethan Hunt (Tom Cruise) is given the seemingly impossible task of stopping The Apostles along with a man named John Lark, an extremist, who attempt to set off three nuclear bombs. Just reading the film’s synopsis alone is enough to get your heart racing, and that is what Mission: Impossible – Fallout does best. It keeps you on your toes. Like Ethan, whilst watching the film, you have no time to rest. Whilst this may sound tiring and even off-putting, it works. 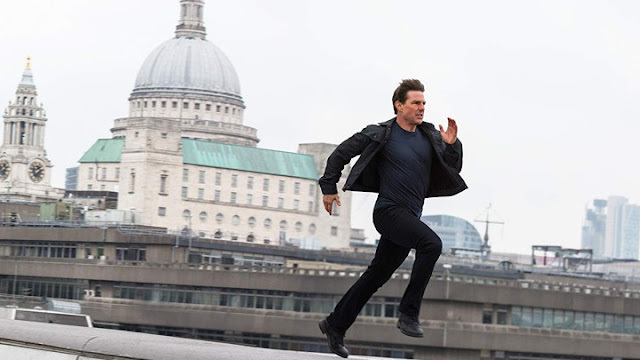 After all, if you go to see a Mission: Impossible film, you know what you’re letting yourself in for. 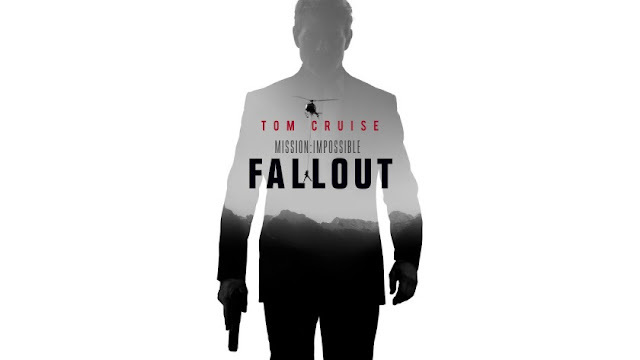 Whether it’s Tom Cruise skydiving through a lightning storm over Paris, having a scrappy, visceral bathroom brawl alongside Henry Cavill to clone a man’s face for a mission or attempting to reclaim a nuclear detonator from the outside of a helicopter, nothing is too far-fetched or daring for Cruise or McQuarrie. What makes all these sequences even more impressive though is that Cruise does all his own stunts at the not-so-prime age of 56. 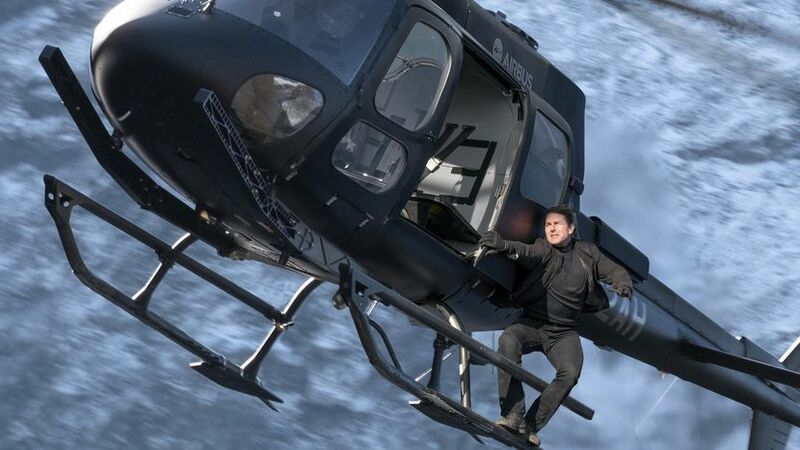 So, when Ethan Hunt flies a helicopter, rock climbs up a vertical cliff face or jumps from a building, so does Tom Cruise. And, frankly, this is nothing short of impressive lunacy (to read more about Tom Cruise’s stunts and how he infamously broke his ankle during filming, click here). A common problem I have with action films though is that often due to the excessive spectacle any depth that could have been added or drawn from the film is lost. With Fallout though, this isn’t the case. To McQuarrie’s credit, as he is both director and scriptwriter, he manages to expertly weave emotion amidst the adrenaline pumping chaos on screen. 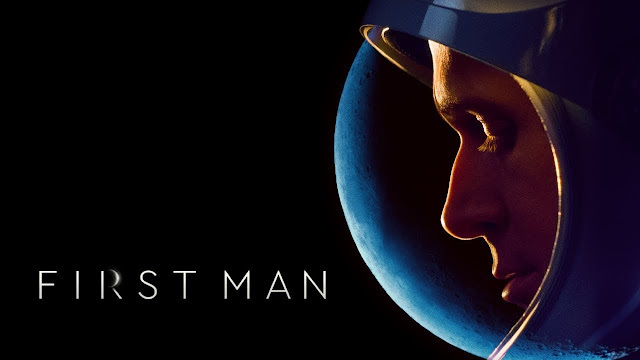 The film doesn’t spend much time focussing on Ethan’s personal feelings and fears, but when we are given a glimpse into how he and the other characters are feeling, this makes it hit even harder. More impressively though, when there is an emotional scene, it’s often interspersed amongst the action – no easy feat. Arguably, one of the most emotional scenes in the film occurs whilst two of the characters are attempting to defuse a nuclear bomb - not exactly your standard place for a DMC… but that is where McQuarrie’s brilliance seeps through. That being said though, the film wasn’t perfect and it did have some flaws. 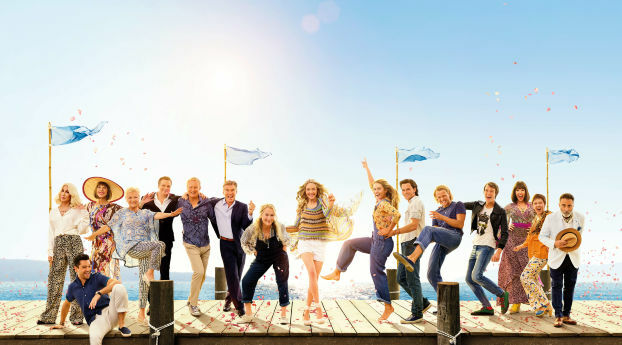 To add to this, and I know some will disagree with me, I felt that a lot of the humour in the film was ill-timed and undercut the suspense that was being built. 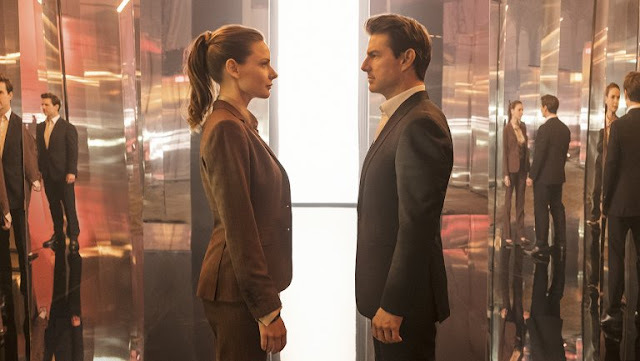 Maybe I’m just being grouchy, but when I go to see a Mission: Impossible film I want to feel on the edge of my seat throughout. But, the poorly timed humour coupled with the frustrating convenience of some situations made me feel less tense than I’d have liked. Despite these minor hiccups, Mission: Impossible – Fallout is very enjoyable - you’ll be hard pressed to find a better action blockbuster. 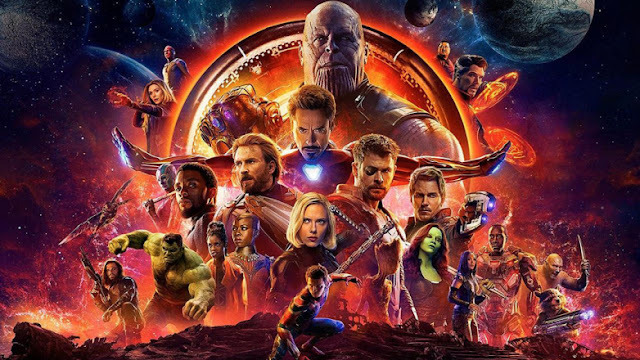 With clever scriptwriting, jaw-dropping set pieces and moments of surprising emotion it’s well worth a watch in the cinema as the spectacle won’t be half as impressive on a small screen, and this is one of the biggest draws. 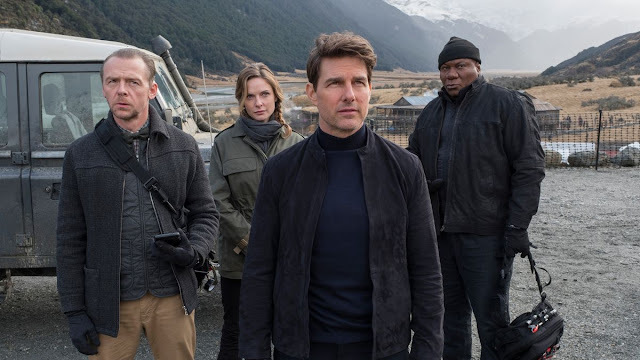 After yet another successful Mission: Impossible instalment though, it does make you wonder… are Cruise and McQuarrie creating their own Mission: Impossible for the seventh film? We’ll have to wait and see. In case you aren’t up-to-date but want to see Fallout, here is an article detailing all the events leading up to it – click here! Or, to watch the trailer – click here! I am really glad I have read this review, it motivated me to go see it at the cinema. Great post and review! Thanks for reading my review, Flo - really glad you enjoyed it. I hope you enjoy the film too!